quickly connects and disconnects transfer lines with no spillage. Dry Disconnect Couplings are also referred to as Dry Break Couplings or Dry Break Couplers. 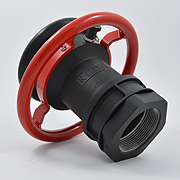 The KLAW QS Range offers the latest in robust and efficient Dry Disconnect Coupling design. 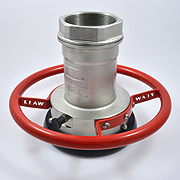 The KLAW Dry Disconnect automatic valve open and closure design means there is no spillage on connection or disconnection. This prevents costly clean-up costs. The QS features an easy grip and turn action in both Round and Twin Square handle options. This improves safety and time efficiency. QS Dry Disconnect Couplings are much faster than other connection methods such as bolt up flanges. No draining of hoses or loading/unloading systems is required – saving on labour and time. 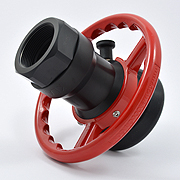 The market leader in the Marine and Industrial transfer industries is applying its high and exacting standards to this range of Dry Disconnect Couplings. 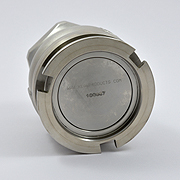 The robust design and the materials used in the manufacture of QS Dry Disconnect Couplings is more than a match for demanding operating conditions and the rigours of marine and industrial environments. 1 Ergonomic single action operation for both the Square and Round handle QS options is designed for the rigours of repeated time pressure industrial applications and the challenges of offshore environments. 2 Automatic Turn and Lock mechanism ensures the connection is secure and safe. 3 Bump ring to guide and protect. 4 Selectivity system protects against cross-contamination and is fully compatible with existing systems. 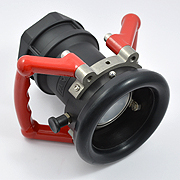 5 Built-in swivel within the QS Dry Disconnect coupling removes hose twist and tension on the hose. 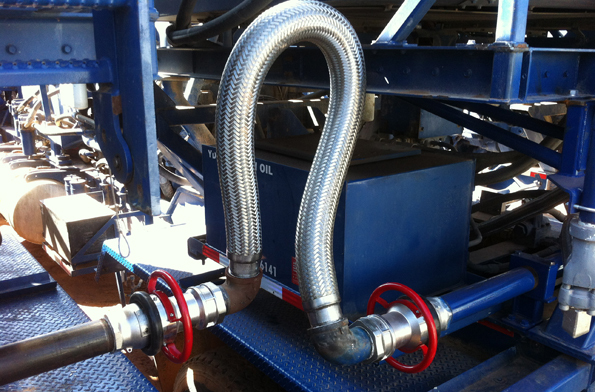 This reduces fatigue on the hose or loading arm and means the connection process is much easier for the operator. 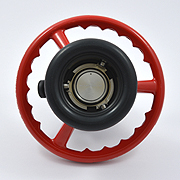 6 Designed and manufactured to industry standards. 7 QS Locking Pin is fitted as standard for sizes 2”, 3” and 4”. This safety feature is an additional safety benefit in demanding and fast operating conditions. 8 Completely interchangeable with other manufacturers and existing systems. 9 Automatic valve opening and closure delivers non-spill efficiency; reducing the risk of accidents and avoiding operating clean-up costs. 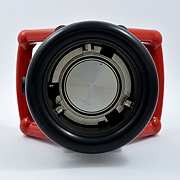 The QS safety locking pin provides additional safety over other Dry Disconnect Coupling options. The QS Dry Disconnect safety lock pin prevents accidental disconnection. The QS locking pin is fitted as standard on the following sizes: 1 ½” DN40; 2” DN50; 3” DN80; 4” DN100 and is also available as an option for size DN150; 6″. 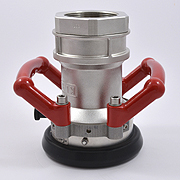 The KLAW Dry Disconnect Coupling Range is completely interchangeable with other manufacturers. 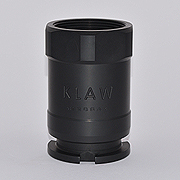 The KLAW Dry Disconnect Coupling Range is fully compliant to NATO/STANAG 3756. 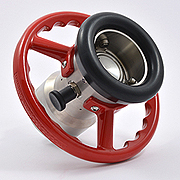 Multiple seal options are available to suit all types of liquids and gases. 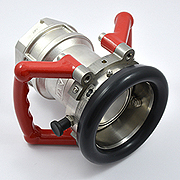 The QS Range is equally suitable for transfer hose and loading arm applications. Petroleum: Gasoline, Diesel, Oil, Liquid Mud. Chemical: Butadiene, Ammonia, Ethylene Oxide, Propylene Oxide, Acrylonitrile, Toluene, Xylene, Vinyl Chloride, Phenol. Dry Powders: for 2” and above. QS Dry Disconnect Couplings are completely interchangeable with other connections such as those provided by Mann-Tek, TODO, Avery Hardoll and other companies whose couplings conform to STANAG 3756. 1” DN25; 2” DN50; 2 ½” DN65; 3” DN80; 4” DN100; 6” DN150. 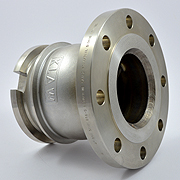 End connection threads and flanges are available for both hose and tank units. BSP / NPT Threads / DIN ASA /TW /TTMA flanges. Other threads and flanges are available on request. Other seals available on request. * Viton and Kalrez are registered trademarks of Dupont Performance Elastomers. ** Chemraz is a registered trademark of Green-Tweed. The hazard of cross-contamination is caused by the risk of incorrect hose to tanker connection during product transfer. The KLAW QS selectivity feature removes this risk and protects against human or procedure error. The KLAW selectivity range is industry standard and is therefore completely compatible with current systems. Selectivity option and specification is determined at the time of ordering. A comprehensive Product Guide brochure with in-depth technical and performance data is available from the KLAW technical team. To ensure the correct products are chosen for your applications, we advise that you contact the KLAW technical team for advice or confirmation before deciding on any specifications. 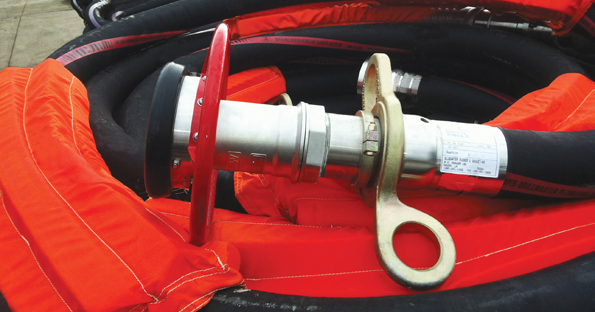 QS Dry Break Coupler connected to marine offshore hose. QS Dry Break Coupler connected between fracking natural gas feed pumps. 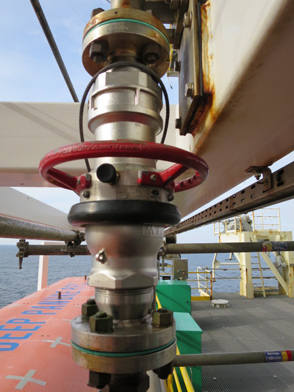 QS Dry Break Coupler fitted to lifeboat air supply on offshore rig platform.